Why Lauren chose the name: Sometimes a name just fits! 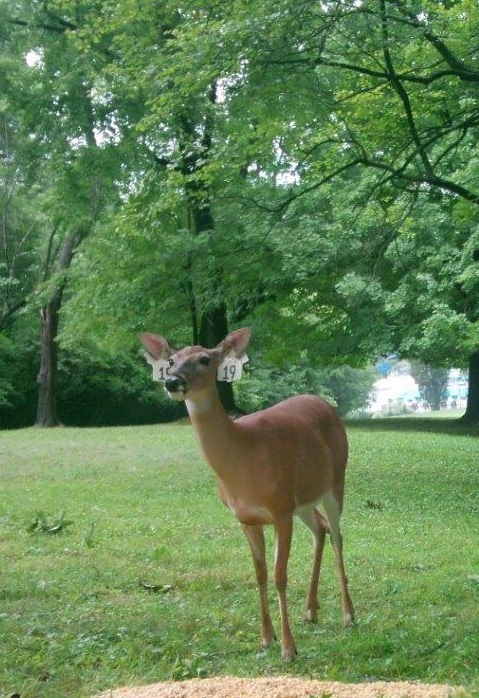 Having watched Doe #19 wandering about the Cincinnati Women’s Club property several times, Lauren felt drawn to the name Juniper, or Junie for short, and we here at “deer headquarters” think its perfect! Sponsored by: Junie would love to have you as a sponsor! If you are interested, please let us know! For the first two years of our program, Juniper was our resident culinary critic, eschewing the offerings of corn at our bait sites that most other deer find so alluring. In fact, a member of our team once observed her sniffing disdainfully at the corn before turning away with her head held high, rather as though she had expected a four star restaurant only to be taken through a McDonald’s drive-thru. We aren’t quite sure what changed, but these days Junie is a frequent visitor to our bait sites. Has our corn gotten better or has she lowered her culinary standards? She’s not saying …. Avenue with her BFF, ~6 year old Doe #17. 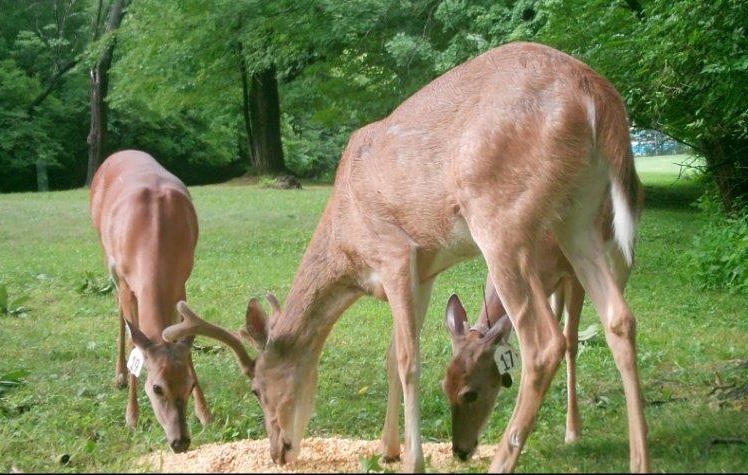 The pair is often seen with Doe #17’s final fawn, a now-all-grown-up strapping young buck (who unlike most male fawns, hasn’t yet left his mother). She was spayed in December 2015, at which time she weighed ~160 lbs.